Introduction Nestled in the heart of the Genesee Valley of Western New York is a special place called Letchworth State Park. When you visit the Park you can marvel at the natural beauty, experience fine dining at the Glen Iris, or spend the day enjoying the many recreational opportunities. But to fully appreciate this wonderful place, you have to know the Park's long and rich history. The purpose of this site is to provide a place where people can explore that history. We hope you enjoy your visit! then explore the pages in the Table of Contents below! You can also explore the Park's past through our books. Click here for more information! What's New! Frequent visitors to our site will find a list of recent additions! These pages are also indexed in the categories below. You can also use our search engine found below! Historic Photo Album Our favorite historical photographs and old images of the Park. Check back often! You can either find pictures using the index or browse our gallery! Pieces of the Past Here are artifacts, documents, records, and other resources which will help you dig deeper into Letchworth Park History. Genealogists will also find sources here! Bibliography & Other Sources of Information This annotated list of sources includes works we used in our research and "required" reading on Letchworth State Park! Exploring History in the Park You will find suggestions here of ways in which you can explore Letchworth's past on your next visit to the Park. Letchworth Links You will find a growing list of sites related to Letchworth State Park, the Genesee Valley, and important historical resources. You will also find links to the information you need if you want to visit or vacation at the Park! F A Q's We have posted some Frequently Asked Questions about Letchworth Park history here! Letchworth Park Memories Do you have a special memory of Letchworth State Park? Share it with us in a special project we started during the Centennial Celebration! About us A little bit about the creators of this site! available from Arcadia Publishing, Amazon.com and other retailers. However, we offer inscribed copies for sale. 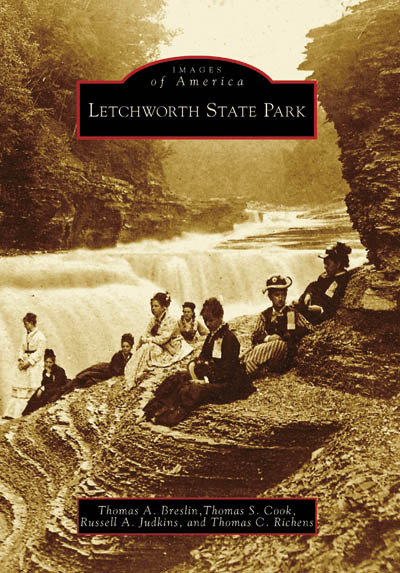 Letchworth State Park, which we co-authored, was published in 2008. It is now in its sixth printing. Chapters include "The Falls," "Glen Iris," "Council Grounds," "Lower Falls and Wolf Creek," "Vanished Villages," and "Highbanks and the Modern Park." The book includes the stories of the Seneca, pioneers, Mary Jemison, William P Letchworth, and much more. 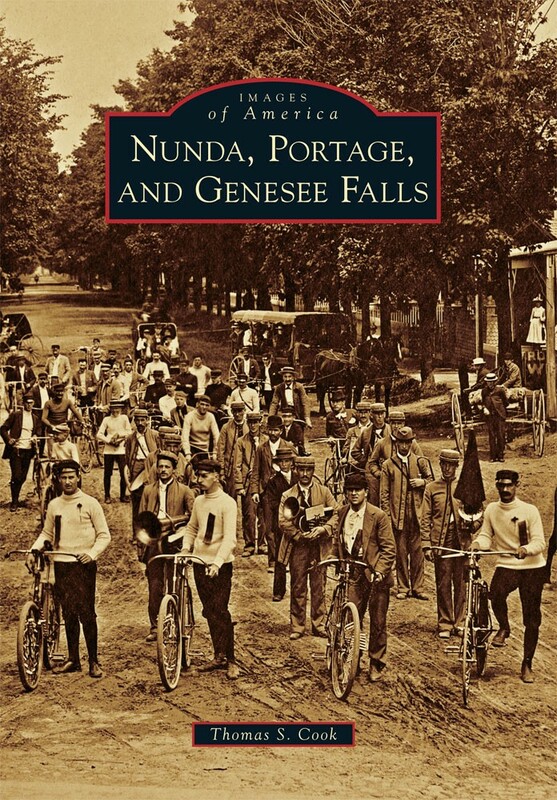 Lovers of Letchworth Park will also find Nunda, Portage, and Genesee Falls published in 2011 to be of interest. When first settled in pioneer times, the lands which now make up the southern portion of the Park was in the town of Nunda. 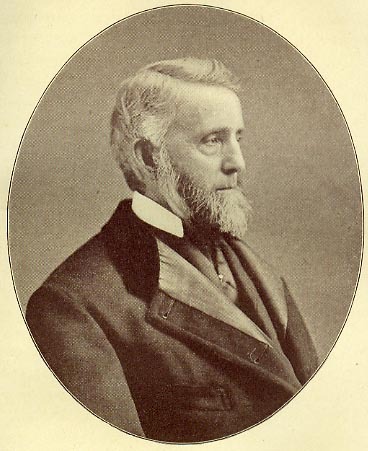 By the time Mr. Letchworth arrived in 1859, the falls and environs were part of Portage to the east, and Genesee Falls to the west. So the history of Letchworth Park is interwoven with the history of the three towns and plays an important role in the book. 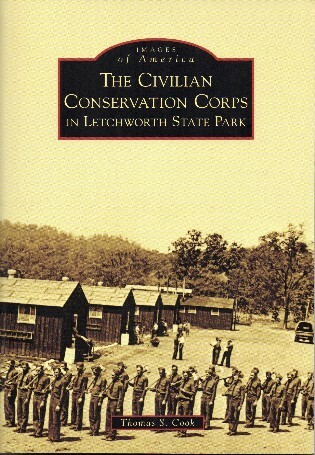 The new The Civilian Conservation Corps in Letchworth State Park was published in April 2015. Using historical photographs and other materials from the Park Archives, Nunda Historical Society, and the National and State Archives, the book chronicles the story of the four Letchworth Camps and the experiences of the young men who manned them. Daily camp life, work projects, and the Letchworth's CCC legacy are also examined. Wondering how to make reservations for the Park or the Glen Iris Inn? Find out how in our FAQs! Please Sign our Visitors' Register! Historical questions and answers will be posted in the FAQ section! You can also submit questions and comments through our Visitors' Register! Remember - the BEST way to explore the history of Letchworth State Park is by going there! Be sure to visit the Museum and take part in the variety of talks and walks offered every year! Contact Letchworth Park for current information! Exploring Letchworth Park History is the personal web site of Tom Cook & Tom Breslin. It is not affiliated with Letchworth State Park, the Genesee State Park Region, or New York State. All rights reserved by Tom Cook & Tom Breslin.